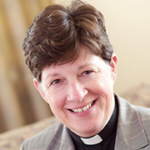 Presiding Bishop Elizabeth Eaton reflects on prayer. She reminds us that prayer is not about the technique—the how or why we pray. Prayer is an invitation to divine love. Prayer is about relationship with God. Prayer is God seeking us. Read her column in English and in Spanish.